Find the perfect combination of fashion and function with the Eclipse Derby Blackout Curtains. Eclipse offers a complete line of functional curtains that provide privacy, manage light, reduce noise, and help with energy savings, without sacrificing the latest looks in window fashion. Curtains feature a textured weave that is a trendy, yet classic choice that will suit almost any decor. Thermal foam backing provides light blocking, noise reducing and every benefits. 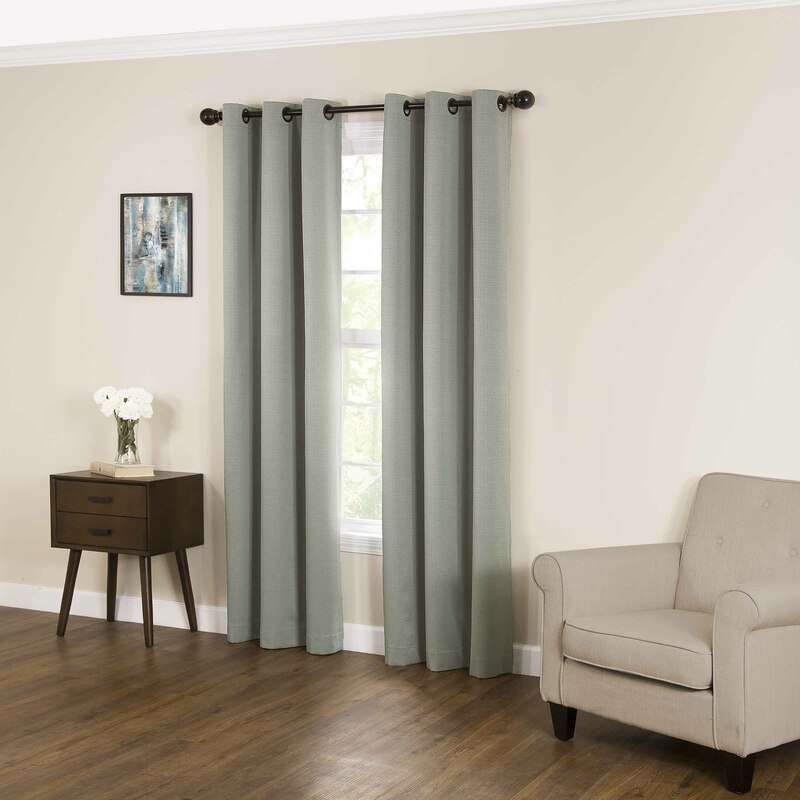 Curtain measures 40 inches wide by choice of 63, 84 or 95 inches long. Oil-rubbed grommets measure 1.65 inches and are recommended with up to a 1 inch rod for maximum movement. Hand wash cold with similar colors. Use only non-chlorine bleach if needed. Line dry. Warm iron if needed. 100% Polyester. Great curtains! Works really great keeping down the light, and keeps the outside ellements out and the inside ellements in. Looks fabulous, and lets in little light in from top, and low direct sun in due to the light color of the curtain. Good for the front room or dinning room. Home territory searches the web to find the best prices and availability on Window Treatments and related products foir your home like Eclipse Derby Fashion Blackout Window Curtain. For this page, related items include products we find that match the following keywords: "Window Treatment|Curtain,13" at our vendor partner Walmart - Click More Info / Buy Now to check for price rollbacks!. Eclipse Derby Fashion Blackout Window Curtain is one of 85 Window Treatments and related products available for sale through HomeTerritory.com, If you have any questions on this product, please give us a call at 734-971-1210 during the hours of 9am - 5pm EST for assistance. Thank you for shopping at Home Territory, the home furnishings superstore!